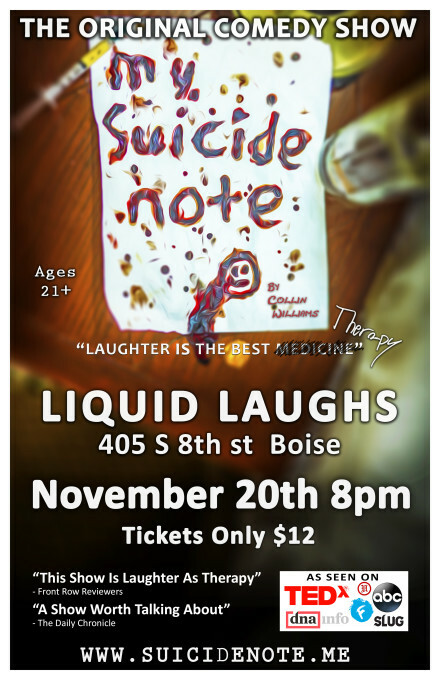 Collin Williams' critically-acclaimed show, "My Suicide Note", is a truly one of a kind dark comedy. Williams takes his actual note from his attempted suicide, and uses a decade of experience as a standup comedian and storyteller to weave humor in and out of a candidly astounding life story that has received high praise from audiences and reviewers. Tickets are only $12 with no extra fees!